Kraken Corporation is too big to fail...or control. Spreading its tentacles into every profit centre around the globe - oil, gold, diamonds - it takes what it wants and leaves behind a path of death and destruction. When Emma Baine, heir to Kraken, publicly announces her intention to end the corporation's history of profiteering, murder, and monopoly, a bomb explodes on the rostrum, killing her instantly. To her brother Carson, it's the perfect punch line to Emma's childish statement. He took out his sister, and now he's going to take over the firm. 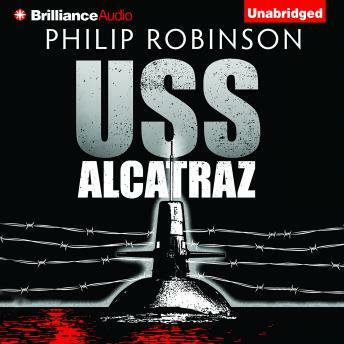 Using Kraken's "private security force," a mercenary army that rolls over every obstacle to profitability, and the USS Alcatraz, an old Russian nuclear sub retrofitted into a gargantuan underwater prison, Carson imprisons everyone he perceives as an enemy - while the highest figures in government turn a blind eye. But there's one obstacle Carson can't grind under his heel: an ex-Marine named Vaughan. As Emma's former lover and bodyguard, Vaughn is tough, smart...and very angry.